The Goodwill store in Brick, under construction for months, opened Friday and begins its regular hours this week, the organization said in a statement. Goodwill is now open in the Brick Boulevard building that formerly housed 6th Avenue Electronics and, before that, the General Stores. 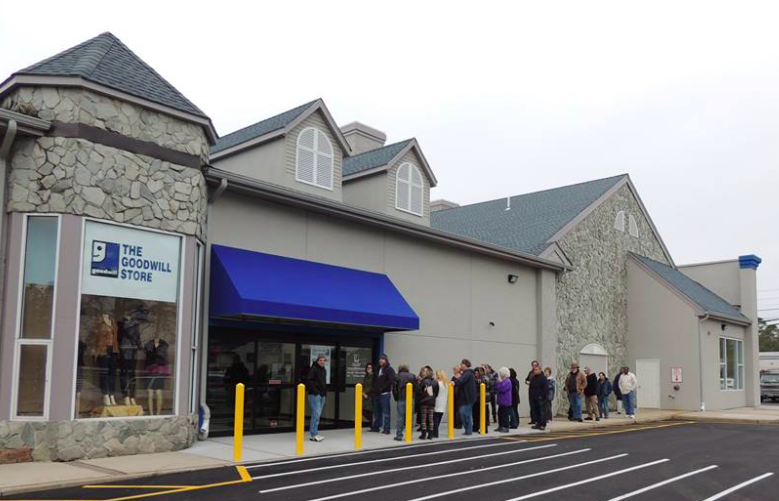 The store, operated by Goodwill Industries of Southern New Jersey and Philadelphia, announced the 18,000 square foot retail location last year. It is stocked with “high-quality gently-used clothing, accessories, household items, toys, furniture and more,” according to a statement. The site will also have a donation center in the rear of the store where local residents can donate gently-used items that they no longer need in return for a tax deduction. The store opened to a line of customers waiting to enter on Friday and remained open through the weekend, selling items ranging from a Kate Spade bag for $6.99 to a pair of North Face Boots, new in box, for $49.99, the organization said. Located at 451 Brick Boulevard, the store is now open from 9 a.m. to 9 p.m. on weekdays and Saturdays, and 10 a.m. to 6 p.m. on Sundays.